At an international tiger conservation summit in Russia’s St Petersburg , attended by leaders such as Russia’s Vladimir Putin and China’s Weng Jiabao, Bangladesh Prime Minister Sheikh Hasina has called the world to vote for the Sundarbans and so help to protect the Bengal Tiger. Sundarbans is one of the 28 Finalists in the Official New7Wonders of Nature, share by Bangladesh and India, and is one of the world`s biggest tiger habitats. 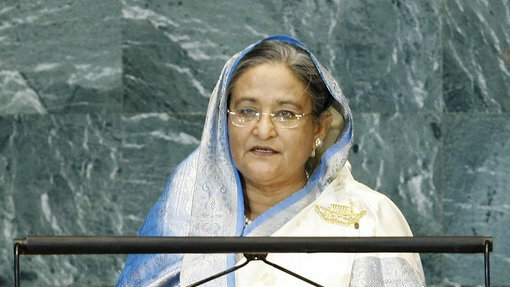 “Each vote will help selecting the Sundarbans as a new wonder and consequently lend a hand to save the forest and its trees and animals”, said Bangladesh PM Sheikh Hasina who, together with 13 other tiger range countries, took part in the international tiger conservation summit in St Petersburg. Being the largest mangrove forest in the world, the Sundarbans spread on a total area of 6,017 square kilometers, and with their unique bio-climatic zone give home to 440 Bengal Tigers.